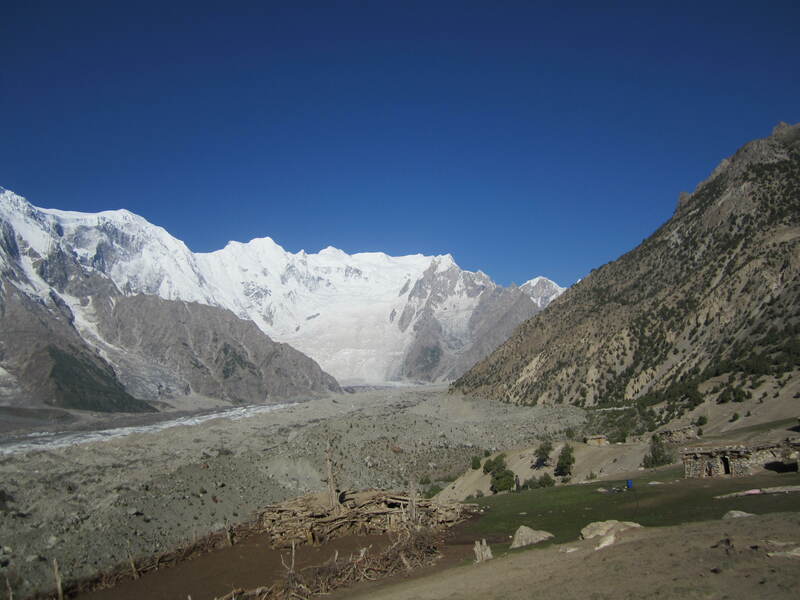 The Batura Glacier (56km), fourth long glacier in Karakurum Hunza region. Starting from Gilgit, traveling along KKH through the mythical Hunza valley Passu. Along the way Passu village to the Batura glacier, the arid landscape is often interrupted by lush green field. The complex irrigation channel system is the testimony to the skill and patience of the natives. Batura glacier trek considered as one of the most accessible and easy trek in the region. Our trek take you through along flower field lateral moraine, willow bushes and Juniper forest, view of the mountain of Batura wall and Passu massive are superb. Passu people are very friendly in the summer pasture.